The Facebook app for Android has become a monster piece of software over the years. It’s clear that as manufacturers improve phone hardware, Facebook increases the power of its mobile app to squeeze more performance out of it. After deleting the app and living a happy life without it, I’d like to present three reasons you should uninstall Facebook now. Facebook has been a large, resource-draining app for quite some time now. Opening the app can lead to long loading times on older devices, RAM consumption is high compared with most other apps and scrolling through your news feed chews up a lot of data. There is also the issue of battery life. Powering such a resource-intensive app requires a fair chunk of power, so you’re likely to see a tangible difference in how long your phone lasts on a single charge with and without Facebook installed. 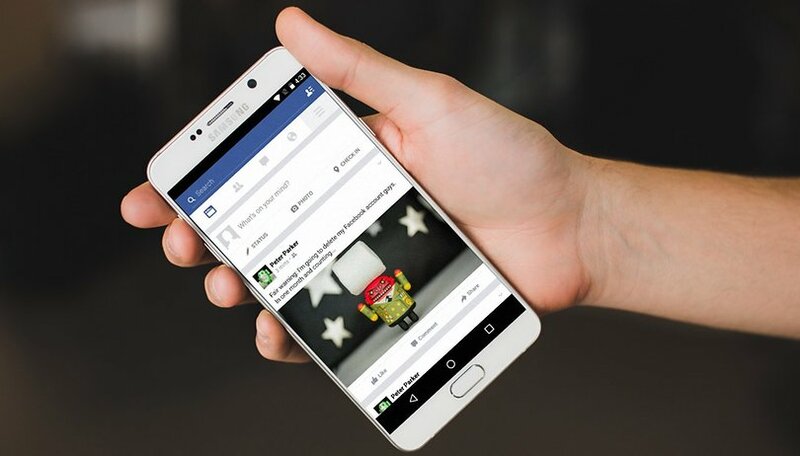 Facebook is an essential app for many Android users, so the tax on system and battery performance might be a compromise that many of you are willing to make. But for other Facebookers, this might be more compromise than they want. But there’s an alternative. You could uninstall – yes, uninstall – the Facebook mobile app. That would cut out most of the compromise. What does a Facebook user do when they don’t have the app? Use Facebook mobile. In other words, Facebook in Google Chrome. There are some neat things about it. Firstly, on signing into Facebook, Chrome will ask if you want to receive push notifications directly from Facebook. If you opt-in to this, you’ll be kept updated even when you aren’t using the browser. The design of Facebook mobile is also pretty slick. It loads at similar speeds to the app, the design is similar as well, plus videos don’t autoplay (if this is something you aren’t a fan of). But bear in mind that some features are missing if you use Facebook in a browser. This includes Instant Articles and auto-liking posts right from the notification shade. For that, you’ll need to keep the app. I deleted the Facebook for Android app a while ago and haven’t regretted it. I’ve used Facebook in Chrome ever since and, during my testing, phone performance and battery life improved noticeably. I also lived without notifications for a time and, I have to say, it was quite nice to have a break from all the buzzing my phone used to do. My usual daily driver is a Moto X (2nd Gen) and this phone has a relatively small battery. If your phone has a small or old battery, then you might see immediate results after uninstalling Facebook. And hey, you could always reinstall again if you miss it. Would you try living life without the Facebook app? If you have, did it make a difference to performance? Tell us about it in the comments. I deleted the Facebook app a long time ago. I've used "Febu" ever since, and happy with it. Tinfoil for Facebook is good. Light, small, no ads and no wakelocks. Facebook Lite app for android is alternative, moreover it works with 2G network with little RAM usage. I install messenger and also fb lite. If not only for the chat stickers and the instant loading, I would hv used fb lite only. Lite loads real slow on a 2G network and it will slow me down from replying to an emergency message. I use tinfoil Facebook. It takes up far less space. Also works great. I uninstalled the Facebook app from my phone eons ago because it was hogging my internal memory (over 100 MB), it was keeping my phone awake (I had to root my phone to delete Facebook because it was a system app, then I reinstalled it and used Greenify to keep it at bay), and it was draining my battery even though I hardly use Facebook at all! So even after taking all those steps, I STILL ended up uninstalling it! Anyway, FACEBOOK LITE is what I use now. It's footprint is less than 3 MB including data. So it saves a TON of space. But there are a number of significant features that it excludes if you are a Facebook app junkie. Yet, it is perfect for me! But I heard that it is unavailable in the US. I live in Africa...I thought it was available everywhere. ...took off fb ....now got a fab 'new' old mobile ....so far no probs and my mob doesn't heat up so quickly + my 2800mah battery lasts 3 x more ....thanks AndroitPit !! There is difference in using Facebook app & on browser. Information don't sink properly. I received notifications on browser but when I checked it in the app there was nothing. I don't know why this is happening. I just use it in my ES File Explorer and it includes messenger so I don't need to install it separately. Big memory saver over the FB app! Try it. i would love to do uninstall Facebook, only if you can suggest a good alternative that could upload multiple photos and videos that is still in hi-res format.. I uninstalled FB about year ago and I have been using the browser. I did it for space reasons and I've not missed it at all. The app is unnecessary and far to large. Tinfoil for Facebook takes care of Messages as well. Facebook's abusive snooping and data fishing is reason enough to skip their app. This is true of most apps that just supply a website's content. There's no good reason to download a dedicated app that's digging through your data and using your resources for their purposes. The browser is a better way to do it and provides you with greater protection. I've never been a fan of FB, iam able to live a perfectly normal life without the hassle and need for constant attention. Seeking the next "like" forever checking to see if you missed some trivial news about someone you've never met but call a friend. You don't use facebook but read an article about the best alternative facebook app? How very odd. I have "Facebook Phobia". I get nervous and anxious with just the thought of using Facebook.